Those of you who already know about Ansible, know that it is an open source automation platform that helps organizations in various tasks like configuration management, application deployment, orchestration, and task automation. Those of you who didn’t, well, you know now. This eBook and course bundle will help you learn about the fundamentals and practical aspects of Ansible 2. You will also be able to learn how to integrate the new features with cloud platforms like Amazon Web Services. By the end of the course you will be able to use Ansible parameters for the benefit of your organization. 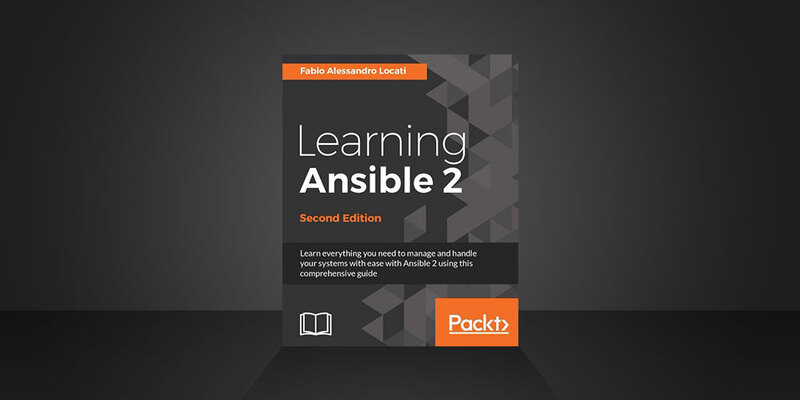 This Ansible course bundle is brought to you by Packt. The company’s mission is to help the world in putting use to softwares in new advanced ways. They aim to do this by delivering effective learning and information services to IT professionals across the globe. They have successfully published over 3000 books and videos. The sole purpose is to help professionals get the knowledge required to get work done. You will need a good internet connection to access the course. You can access it via web or mobile streaming. After you have purchased the bundle you will be able to get lifetime access to the course. You can redeem your code within 30 days of purchase. Students of any level of expertise can take advantage from this course. So what are you waiting for? Just visit this site and get yourself this course bundle and you wont ever regret it.